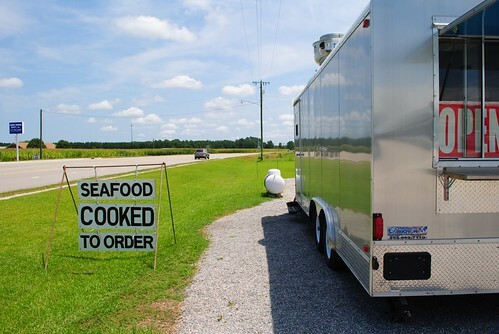 On our drive to Charleston, we came across the cutest seafood truck on the side of the road. The woman in the truck was sweet as can be, spoke as slow as molasses, and called me "suga". 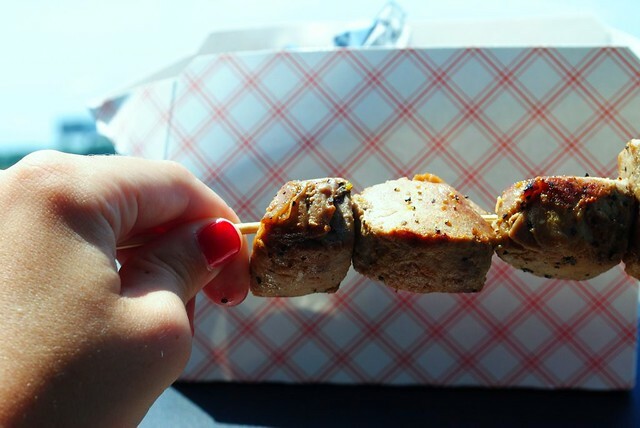 The seafood was fresh, delicious, and served in the form of scallop and tuna kabobs. 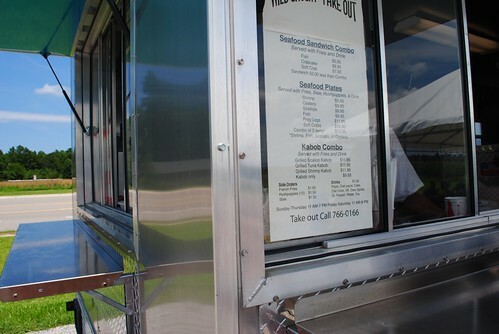 * I'm happy that food trucks are popping up everywhere. It's my kind of fast food. *If only I could say the word "kabob" without thinking "kebab" and picturing Brett and Jemaine's lovely faces.